Paul has been coaching, consulting and training many organizations in the use of Agile methods since 2008. 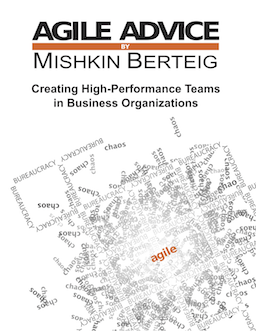 He has transformed teams using Scrum, Kanban, Extreme Programming, and OpenAgile. He is a Certified ScrumMaster, Certified Scrum Product Owner and a Certified Scrum Professional. There are three roles on a Scrum Team, no more and no less. These roles are: ScrumMaster, Product Owner, and the Team Members. It is critical to have all three roles present on the Scrum Team to get all needed responsibilities taken care of in an effective way. The Product Owner is responsible for the product and how the team connects with that product. The ScrumMaster is responsible for improving the use of Scrum in the organization and team, as well as removing any obstacles that slow the team down. The Team Members are responsible for getting the work done by self-organizing and finding ways to improve their own process and work. Without one of these key roles, the team would be missing a key focus and job. As well, Scrum specifically disallows any other roles on the Scrum Team. A person who has an official role of Tester cannot be on a Scrum Team. However, the same person, if given the official role of Team Member can be on a Scrum Team. If people have their official titles, performance evaluations etc. done in their traditional roles, it hinders self-organizing and causes conflicts of interest. A team is not a Scrum Team until those old roles are eliminated. A very effective learning that has come out of many fields of research is that we function well in small groups, specifically groups that range from five to seven people in total. Scrum allows for a slight expansion of that range up to eleven people. This allows for enough people to be together to discuss issues and solve complex software problems with a diversity of skills and experience. As well as avoiding the problem of having too many people that the lines of communication become overwhelming. If the Scrum Team is only four people, then that means that you only have two people doing the tasks in the Sprint Backlog (since the others are the ScrumMaster and the Product Owner). If the team is thirteen or more people then trying to discuss issues, having a focused Daily Scrum meeting, and even building an effective Scrum Team becomes that much harder. The larger the team, the longer it takes to get to a high-performance state. This is just a quick post to share that Agile Tour Toronto is coming soon. It is on November 3 in Toronto. It will be a great day with plenty to do, much to learn, and so many people to meet. We will be there too. Berteig Consulting has a booth and many of us will be there to meet all of you. Hope to see you there!